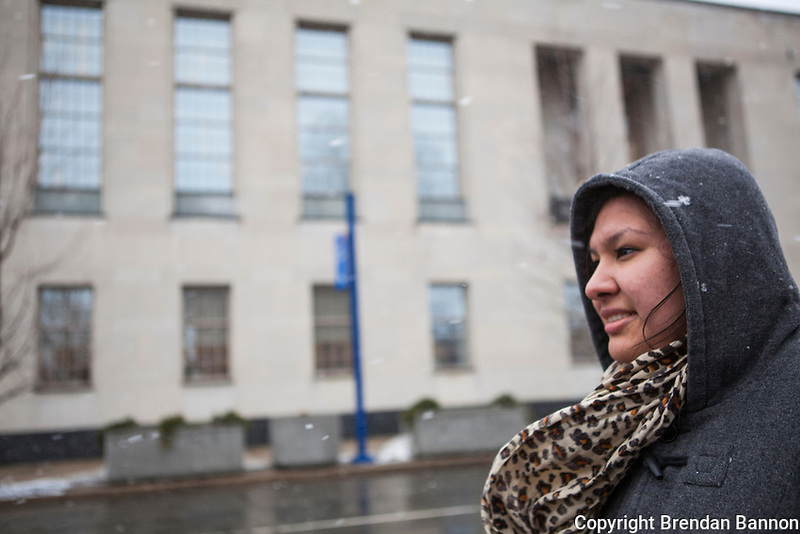 Esmeralda Moctezuma, at a protest in front of the Federal courts in Erie, PA on March 20, 2014, where HOLA and Painesville, Ohio Mexican American community members were raising awareness of deportations at a hearing for immigrant Alfredo Ramos. March 20, 2014. Erie, PA. Photo: Brendan Bannon.